India’s fuel price is linked directly to crude oil rate because about 80% of our requirements are imported. In Mumbai, petrol was at Rs 74.57 per litre at a hike of 38 paise while diesel was at Rs 65.47 per litre at a hike of 31 paise. Reports earlier this week had suggested that with crude oil prices rising, petrol and diesel prices were going to see a surge too. And in the past week, crude oil rates have spiked by 12 per cent. On Thursday, the prices of petrol and diesel were increased by 38 paise and 29 paise, respectively. A litre of petrol cost Rs 68.88 per litre in Delhi while diesel cost Rs 62.53 per litre. In the international market, both oil price benchmarks had jumped by around 5% on Wednesday as financial markets around the world surged on the hopes that US and China may soon be able to end their trade disputes, soothing fears of an all-out trade war between the two biggest economies and its possible impact on global growth. In the past two and half months, petrol price has shot up on only one day, on December 18. Diesel rates rose on December 17 and 18. 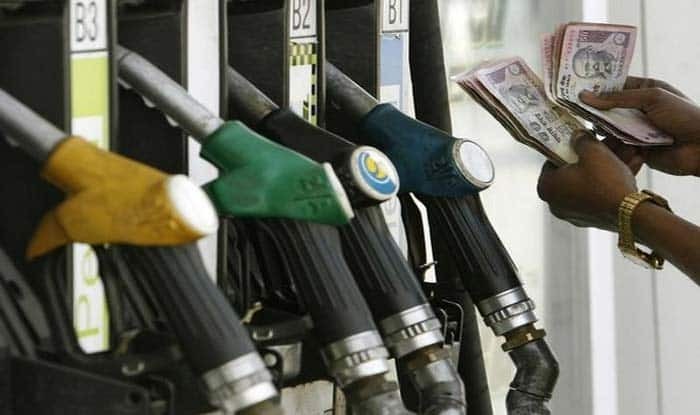 The retail selling price of the fuels is dependent on the international prices of benchmark fuel and the rupee-US dollar exchange rate.